You may have noticed a lot of birds around lately. I sure have. I keep seeing one bird in particular that always brings a smile to my face. I had not seen many of them before, and they seem to be everywhere this year. I see them on the sides of the highway, out on the country roads, in open fields, and flying around all over. I’ll give you some hints to see if you can guess the bird. This bird likes to sit on fences and power lines. It has a long tail that sticks out. It has orange-salmon patches underneath its wings. Got it yet? It’s the scissor-tail flycatcher! This is a bird that travels through all of Texas and uses this area as a breeding ground during the summer. They migrate through Mexico and spend the winters in Central America. During the spring, they wander across North America and have been spotted as far north as British Columbia. They are a fun bird to watch in flight, because their tail opens and closes like scissors. They are amazing acrobats to watch as they flit around at fast speeds to catch insects and flies. One of their primary food sources are grasshoppers, which is good news for farmers! They nest in taller trees near open areas of grass and prairies. Scissor tail flycatchers build their nests using grass, Spanish moss, plastic pieces, paper, string, cigarette butts, pieces of carpet, and almost anything else that they can scavenge from nearby. A study of nests in Texas found that 30% of the nest materials were man-made materials that the birds had gathered. I put out peanuts and seed three hours ago and have had zero visitors. This is very unusual as I would expect at least the squirrels to come by and take the peanuts after this much time. Most likely the lack of bird activity today is due to the high winds creating more moving stimuli that can be confused with other animals. Yesterday I recorded a number of birds during the Google On The Air hangout. We had a combination of Blue Jays, Robins and Grackles. Watching Bird Bath On 14 Degree Day In Denton Tx. 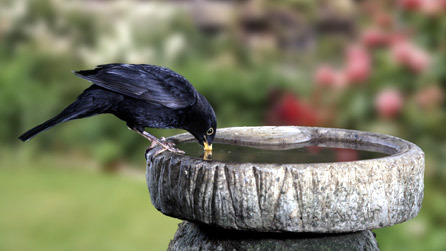 Like all animals, birds need water to survive. With freezing temperatures many birds in urban areas are finding there regular bird baths and puddles frozen over. Do to this we see a large increase of birds in our backyard when a "freeze" hits. This also means we need to change the water more frequently than daily because it will generally ice over during the day and make it difficult for the birds to get a drink. An alternative is to get an immersion style water heater designed for bird baths which will keep the bird bath water from freezing. Try to pick one that turns off if the water dries up and make sure you connect it on a ground-fault interrupted circuit to eliminate the risk of electrical shock. (a ground-fault interrupted circuit is available at most hardware or electrical supply stores). 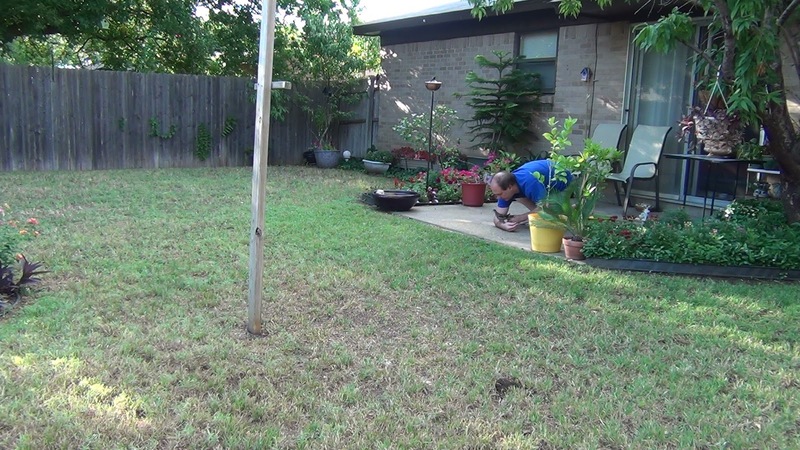 A homemade solution is to place a light bulb in a flower pot then put the bird bath on top of it. The warmth of the light bulb should be enough to keep the water from freezing. 1. Birds need to eat a nutrionally sound diet in order to live a long life. Improper feeding can lead to malnutrition and disease resulting in a shorter lifespan. 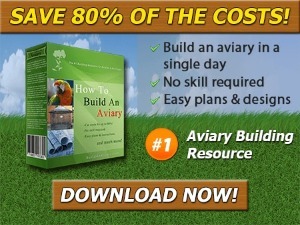 Start off by feeding your bird right from the beginning. 3. Birds can eat most table foods but it is best to stick to healthy items including items containing whole grains, pretzels, and whole wheat pastas and bread. Foods high in fat should be avoided. Never feed them avocados as they are toxic to birds. What to start with? First we have to consider the following:What can I afford? How much space will the bird need? Is there any free time for the bird? How noisy is the bird? Will the neighbors murmur?